Sad news to report tonight. The passing of actor Van Williams, who played the title role of television's THE GREEN HORNET. Produced by William Dozier, the same man responsible for that campy 1960s television program, BATMAN, THE GREEN HORNET was played straight with less camp and more James Bond-style gadgets. Reruns of THE GREEN HORNET program have become a staple on most networks specializing in retro television but Van Williams was overshadowed by his "faithful sidekick," Kato, who was played by Bruce Lee. (If you ask any youngster today under the age of 16 who was the star of THE GREEN HORNET television program, they usually answer Bruce Lee, not Van Williams). Born on February 27, 1934 as Van Zandt Jarvis Williams, he was the son of a cattle rancher. He majored in animal husbandry and business at Texas Christian University but moved to Hawaii which changed the course of his life. While operating a salvage company and a skin-diving school during the mid-1950s, he was approached by Elizabeth Taylor and husband/producer Mike Todd, who were filming there. Encouraged by Todd to try his luck, Van arrived in Hollywood with no experience. Todd perished in a plane crash before he was able to help Van, but the young hopeful ventured on anyway, taking some acting/voice lessons, and was almost immediately cast in dramatic TV roles. Warner Brothers had a keen eye for this type of photogenic hunk and smartly signed Van. Fitting in perfectly, he was soon showing just how irresistible he was as a clean-cut private eye on the series BOURBON STREET BEAT from 1959 to 1960. Although the show lasted only one season, Warners carried his Kenny Madison character into the more popular adventure drama SURFSIDE SIX (1960 to 1962) opposite fellow pin-up / blond beefcake bookend Troy Donahue. Van told me personally that he did not like the studio system at Warners, how they operated and their disregard for the actors who were treated like cattle. "Most of us at the studio were working twelve hours a day, six days in a row, to complete an hour-long episode of SURFSIDE 6. I complained once but there was no compensation." 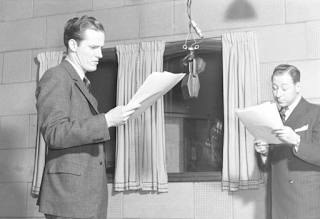 After his contract expired at Warners, Van left the studio and freelanced. It was soon after that he conducted a screen test at 20th Century-Fox for what became the one role he is best-remembered for: the emerald-suited masked vigilante, THE GREEN HORNET. Bruce Lee was hired (at one-third of the salary Williams received) to play the role of Kato and while Williams was paid far more than his faithful sidekick, it was Bruce Lee who went on to cement a legacy, and become a screen icon. Ask any youngster under the age of 16 today who was the star of THE GREEN HORNET and the answer will usually be "Bruce Lee." 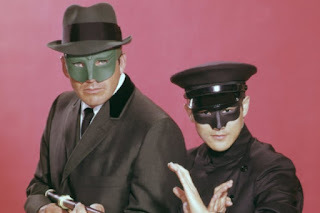 Yes, The Green Hornet and Kato did make a cross-over appearance in a two-part BATMAN episode but that was not to cross-promote THE GREEN HORNET program (regardless of what you read on the internet). THE GREEN HORNET was originally signed for 17 half-hour episodes and renewed for an additional nine, for a total of 26. The network (ABC) expected instant high ratings as BATMAN incurred but this was not to be. George W. Trendle, the owner of THE GREEN HORNET property, had creative control over almost aspects of the program -- including the selection of stories -- and it was Trendle who personally selected Van Williams as The Green Hornet. Trendle wanted to avoid the campy BATMAN style and this proved to be the series' downfall while fans today agree with Trendle: THE GREEN HORNET was better when played straight. Only towards the very end of the program when ABC decided not to renew the program for additional episodes did Trendle beg producer Dozier to do anything -- including adding camp -- to keep the program on the air. The solution was to feature The Green Hornet and Kato as a crossover on BATMAN. The intention was to lure thousands of letters to the network from viewers begging to bring The Green Hornet back on the air. But the total number of letters totaled four. Van Williams did a number of movies and other television guest appearances but he eventually left Hollywood and moved out to the Midwest where he owned and operated a number of business ventures in telecommunications, real estate and for a while law enforcement as a reserve deputy. (Imagine being pulled over for speeding by The Green Hornet himself!) Williams even contributed a number of stories for THE GREEN HORNET comic books in the early 1990s. 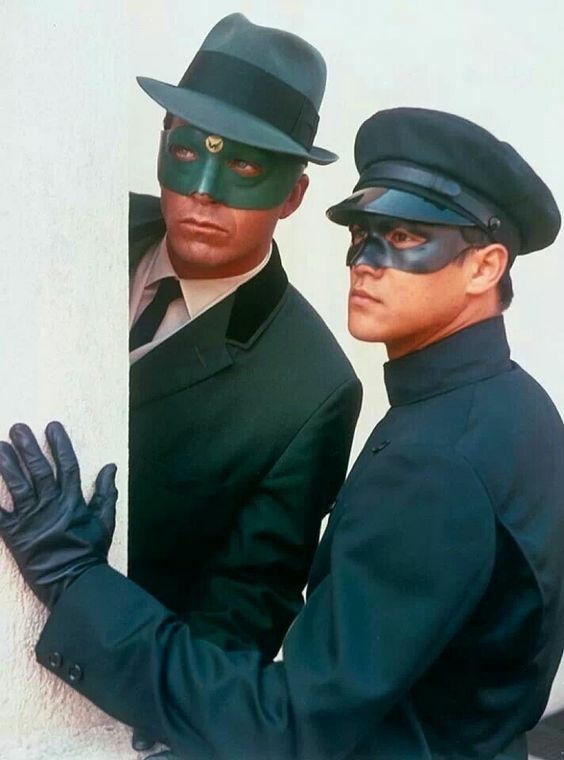 When I co-wrote the book on the history of THE GREEN HORNET, I had the good fortune to chat with Van Williams multiple times over the phone. He was very generous of his time and I remember him calling me on the phone a few weeks after the book was published. He was not only thanking me for the two complimentary copies of the book, but asked for a few extras for family relatives as gifts. He offered to pay for them but there was no way I could charge him for extras. Without Van Williams there could be no visual image of THE GREEN HORNET when I listen to those radio programs from the 1940s and 1950s. Yes, I know AL Hodge and other actors played the role on radio but it is the iconic image of Van Williams that I envision when I hear this nostalgic broadcasts. In his later years, Van Williams retired to Idaho and focused on family and maintaining his health. He was offered a cameo in the horrible Seth Rogen vehicle, THE GREEN HORNET. Van's health kept him from committing and after seeing the movie a couple years later remarked, "That is not The Green Hornet at all. The character was treated like a buffoon. I am glad I turned them down to appear in the movie." 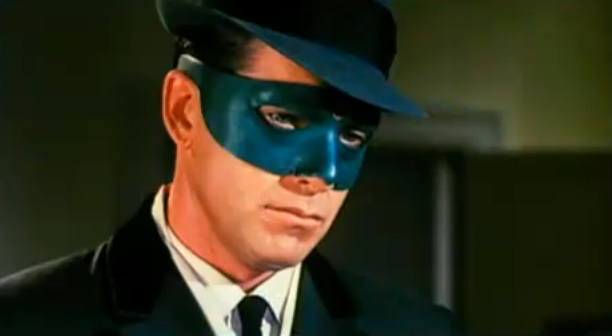 Van Williams was the last surviving series regular on THE GREEN HORNET. He passed away on November 28 at the age of 82. This is really sad to hear. Before logging onto your blog post today I hadn't heard about his passing. I watched this series just last Saturday on H&I and was actually wondering how Van Williams was doing. I am also glad he turned down the cameo for the 2011 film. The 2011 film was beyond horrible. One scene involved driving the Black Beauty into a building and up the stairs! Is There Such a Thing as Too Much TV?